Anyway. That being said, I did pickup some sample packs from newcomer, Southern Comforts‘ Etsy storefront, after hearing some pretty positive reviews about the brand. I ended up with a Halloween Sampler and a 5 samples from the General Catalog, so let’s check it out! 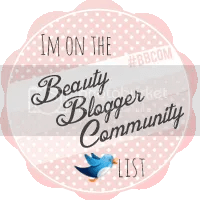 Informational Stuffs About the Brand: Southern Comforts operates out of an Etsy storefront, (as SoCoFragrance),and sells not only perfume oils, but also solid perfumes, body butters, beard oils, bath bombs, wax tarts, sugar scrubs and hair oils! I only tried the perfume scents, but I’ll most likely be returning to try some other formats. True to the name, the theme of all of these products reflects the owner’s Southern upbringing. As someone who is married to a Louisianan, I appreciated this theme. We’ll start with the Halloween Sampler first. You can still grab these in full size for $14 each. Since I’m reviewing 10 perfumes, I brought back my 8 words or less quickie review, if your eyes are too tired to read. This smells like stormy seas. It’s hard to describe the smell of the ocean if you’ve never experienced it before, but this smells like the Gulf of Mexico on a rainy day: salty, damp and a bit dark and dirty. It’s a pretty accurate representation of an aquatic scent to me, refreshing and ocean-like. To be honest, I don’t love it, but I’m also not a huge aquatic perfume fan. Since this got voted into the general catalog, I am apparently in the minority. This had a nice throw on me, but only lasted a few hours. Bonus points for the use of Cthulhu. 8 words or less: Stormy, salty seas filled with monsters. Notes: Jasmine absolute, damp wood, rotting leaves, wet gravestones, oakmoss, old dirt. My first thought with this scent was cold, damp flowers, which on my skin usually translates to some sort of white flower. Sure enough, we’ve got some jasmine here, but the perfume is also very true to the rest of its notes. This literally smells like someone left flowers out on cold, wet earth. As it dries down, the dreaded (for me) jasmine does make an appearance. It’s pretty subtle but as always it’s a bit idolent on me. If you love jasmine you might enjoy this dark and creepy twist on the floral. 8 words or less: Dark and creepy(evil) jasmine on a fresh grave. Notes: candy corn, gummy bears, candied apples, red licorice– I don’t know who Bobbi Sue is but their candy bucket smells like cinnamon apples and sweet, but subtle fruity candy. I usually hate apple scents, but I think the cinnamon notes and subtle fruity kicks make this enjoyable to me. (Scary apple is what apple scents become on my skin.) This was my favorite of all the scents and I was sad it didn’t get picked for General Catalog material. It had a really nice throw and lasted about 4 hours. 8 words or less: Candy apple and cinnamon, give me this bucket. The first time I tried this perfume, I was not impressed. It just smelled faintly of plants to me. However, after it had aged about a month, it became much more subtly scented. I can definitely pick up cool carnations, damp grass, and even a slight hint of roses. It does remind me of Biloxi Boneyward in that it’s another damp, dark floral, but as a fan of carnation and rose this one is more appealing to me. It fades to a very pretty floral, and lasted about 4-6 hours on me. 8 Words or Less: Cool carnations and rose on wet grass. Maybe ghosts. This hit me with a deep, dark chocolate scent upon application. There’s also a bit of leather and dirt lurking in the background here, though it never really stopped smelling like rich chocolate. This lasted ALL day on me, which is impressive, over the hours it went from strong chocolate, to faint chocolate. So you know, lots of chocolate. 8 words or less: Dirty chocolate all day long. 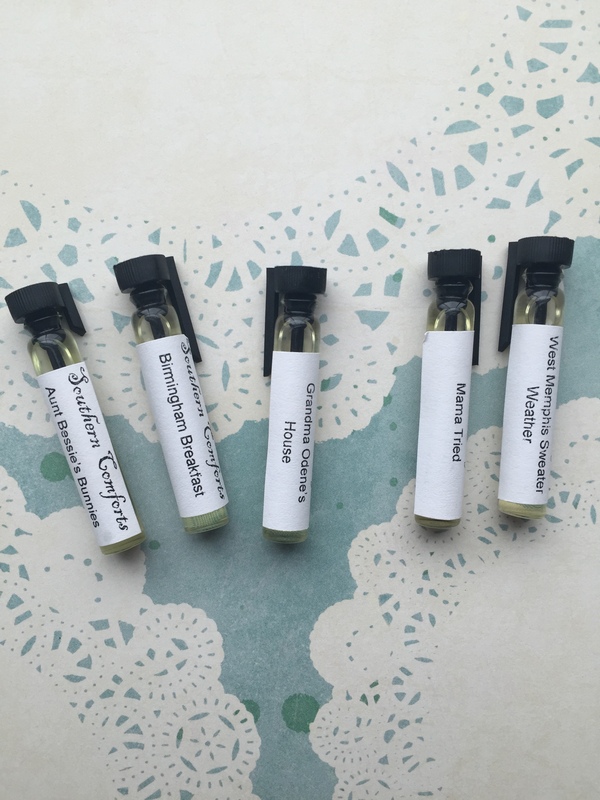 5 Pack Sampler– I loveeeee Gourmands, and I especially love them in the Fall and Winter, so that was my theme when I picked out my sample perfumes. Wet, this could be a dupe for Haus of Gloi’s Splendiferous, which I have a full size of, because I addoorreee it. It’s all buttery cake and powdery violets, (I love violets-no shame here). As it dries, the cake fades pretty fast and it leans more towards very sweet, powdery violets. It also doesn’t last as long on me as Splendiferous, maybe about 2-4 hours, so if I had to call a duel between the two, I’d thrown down for Splendiferous. 8 Words or Less:Buttery cake with powdery violets, Splendiferous’ little sister. French toast, syrup, coffee, (vegan) applewood smoked bacon, orange juice, a touch of champagne. I can’t lie, I got this scent purely out of curiosity. I didn’t think it could be done, and props to Southern Comforts for showing me I was wrong. This smells like bacon and orange juice. Straight up. Maple bacon and fresh squeezed orange juice, perfectly balanced between the two, no marring of scents. It’s pretty strong, too, and lasted about 6 hours on me. I’m a vegetarian, so I got kinda weirded out after awhile by the bacon and OJ thing, but again- props for pulling this off, and pulling it off well. 8 Word or Less: The breakfast of champions, maple bacon and OJ. This smells like sweet, soft vanilla and a very subtle, feminine peach. I don’t like peach, (why I ordered this is a mystery to me), but I like this. And my skin likes it, which is also surprising. It makes me want to eat a peach cake. What is this. Grandma Odene, you are messing with my emotions! This sits close to the skin, but every time I get a whiff of it, I get a little burst of happiness and comfort. Ah, the joy of scents. The peach stays for about an hour before fading to a lovely vanilla cake scent that lasts all day on me, though it continues to sit close to the skin. 8 Words or Less: Soft, feminine peach cake, sits close to skin. I was really hoping the whiskey and vanilla would shine here, but something in this scent goes kinda indolent on me. I thought jasmine was one of the notes, but it’s not listed, so maybe the honeysuckle? Weirdddd. Wet, this is all evil on my skin. As it dries, the pretend not-jasmine remains, but I do get some of the sweet bourbon scent in the background. This is another scent that sat pretty close to my skin, but I did get whiffs of sweetness throughout the day. 8 Words or Less: Something in this hates me, even with whiskey. Notes: white chocolate, coffee, whipped cream, toasted bread, french vanilla, wood, amber/white musk My first thought was this smelled like buttery popcorn. As it dries, I start to get more of the sweet notes of vanilla and coffee. Overall, it smells like a rich creamy vanilla latte to me, with some buttery toffee on the side. A really nice coffee gourmand that lasted about 5 hours on me. 8 words or Less: Vanilla latte with buttery popcorn. I eat this. First and kinda random but, I love the sample vials Southern Comforts used. The size of the of the plastic applicator wand made it really easy to get a generous sample of the perfume oil and to easily apply it. Overall, I can’t lie, I am very impressed with this new brand. I usually find new perfumers are a bit reserved in their scents, they sit close to the skin and don’t last that long. Not so with Southern Comforts, while not overly complicated scents, all of the perfumes hit their notes perfectly and with power. These oils didn’t suffer from shyness and I found they had pretty decent longevity on me. I think Southern Comforts particular strength is gourmands. Some perfumers gourmands are too sweet or cloying to wear, but these hit the target for me in the same way Solstice Scents does. Sweet, but wearable, foodie scents that are comforting and warm. My only critique would be for this perfumer to try some more layered and complicated scents. However, since she hits her current notes so strongly, I can’t really complain. I would rather have strong, simpler scents, than muddled, complicated ones. That’s just me though. This is definitely a perfume company on my radar to watch. 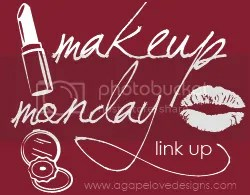 Especially because I’d like to try some of her other products like the bath bombs and sugar scrubs. -Have you tried Southern Comforts? 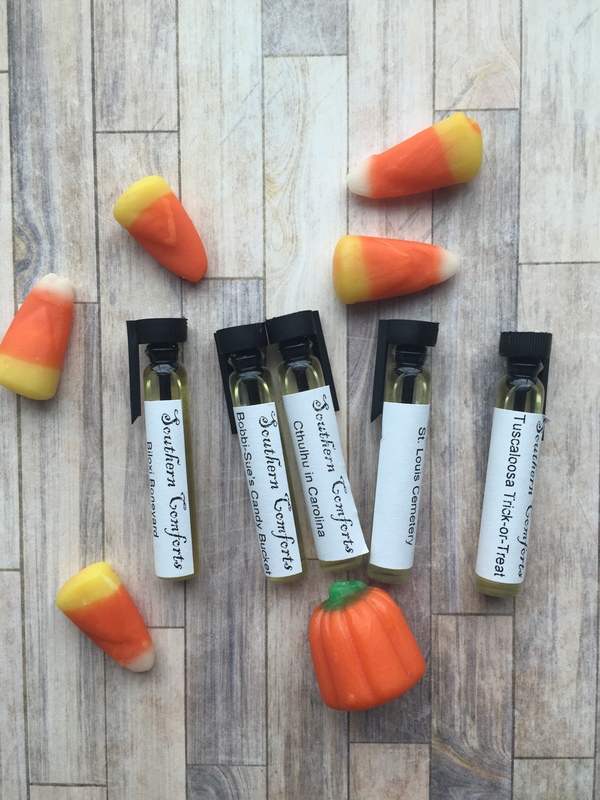 -What fall scents have you been using? -Do you love HoG Tobac? I DO. Yay, I’m glad I’m not the only one Mama Tried went weird on! Tuscaloosa was really chocolate-y on me, and less dirty than I wanted. I liked it the times I wore it, but by the end of the day I was getting tired of it. So it may lean a bit too cloying for me? I’m not sure on that one, but that’s just me! I’m looking forward to trying more SoCo for sure! I really love this brand just on principal 🙂 out of the scents that I have Charlotte Sunshine is my favorite. It smells like iced tea and happiness. It’s really good. I wanted Grandma Odene’s House and Aunt Bessie’s Bunnies to work on me because they sound amazing but they both turn into baby powder on my skin. Ohhh, I’ll have to try that one when it gets warmer outside-that sounds great! And yeah, Aunt Bessie’s Bunnies was definitely powdery on me, but I didn’t have that problem with Grandma Odene’s House. Skin chemistry is wacky!